Seeing a mention in the May/June issue of History Ireland magazine of the death of the great aviator and seaman, Captain J 'Paddy' Saul, in the June 22, 1968 issue, it made me think that this could be the man who rescued my beloved cocker dog in 1958. My mother and I had gone to Dublin one Thursday on business, taking our dog, Rory, with us and, while in a Dublin wholesale paper agency, he was kidnapped. My mother and I drove around the streets of Dublin until 8pm searching for him without any success and returned home to Wexford broken-hearted. The following Monday, I had a phone call from the wholesale manager of Easons Dublin, who told me Rory had come into the shop on the previous Saturday with a rope around his neck, but they could not catch him. I then had a further phone call from the same lady to say that a letter had appeared in the Evening Mail stating a Captain Saul had found a black dog on the Sunday, lying in the gutter after an accident. Captain Saul had collected his Sunday paper and was going to carry on home thinking the dog was dead, but after seeing other dogs sniffing around him, he decided to investigate. He discovered Rory was alive and Captain Saul then carried him home to his house in Stillorgan Park. He sent for a vet and Mrs Saul changed and washed his blanket every day and fed him on beef tea. At one stage he [Rory] took a turn for the worse and Mrs Saul rang Captain Saul, who was in the middle of a meeting in Dublin Airport. He told her to call the vet again. The Dublin ISPCA had also informed me that, because so many dogs were taken in every day, it would be impossible to identify him from my description - and that I should go up personally to the compound in Dublin. 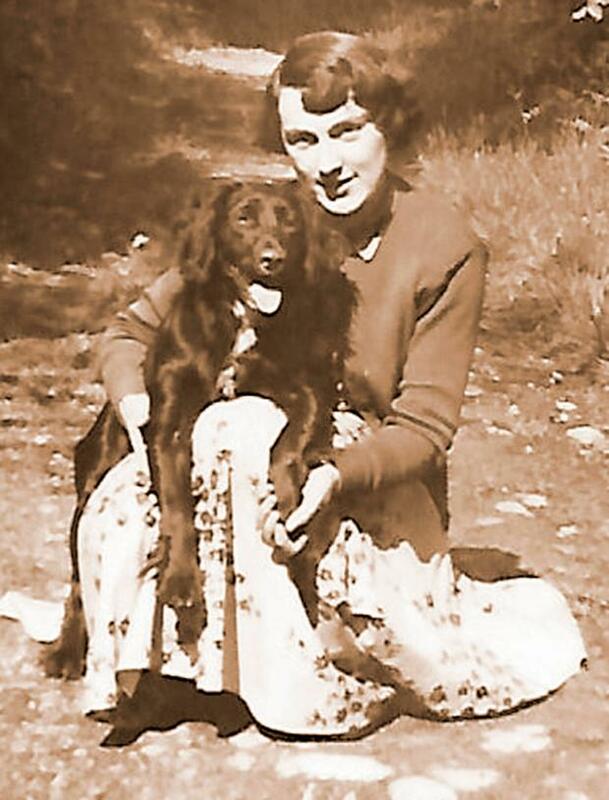 After speaking to the ISPCA and the information I had received about the letter appearing in the paper, I decided to go back to Dublin that Saturday in my 1954 Ford Anglia. The first stop I made on the way into Dublin from Wexford was to the Sauls' house in Stillorgan Park. Mrs Saul asked me for the dog's name and told me to wait in the house. She came back and said: "I think it is him, he raised his head when I called his name." I then went out and all I could do was stand at the shed door and cry. Rory struggled to get up and came over to me. "Oh, that's the first time he has moved," said Mrs Saul. Over the years, I have often thought of Captain Saul and his wife. Mrs Saul told me her husband was involved with Dublin Airport, so I do think we are talking about the same man. Rory lived with us until the damage to his kidneys in the accident, caught up with him in 1961. After visiting the vet, he passed away peacefully in my bed. By this stage we had nicknamed him Piddling Pete because, as a result of the accident, he could not pass a pole without watering it.